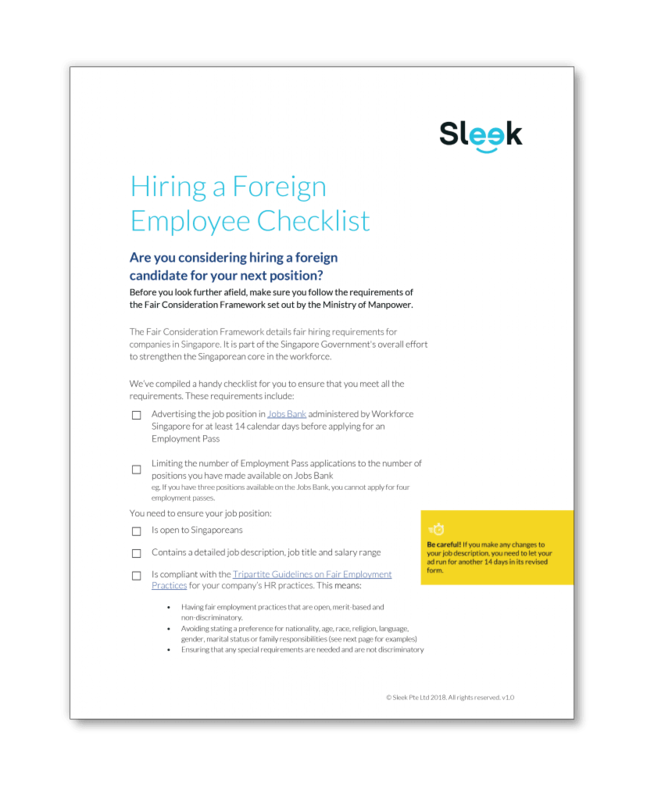 Are you considering hiring a foreign candidate for your next position? Use our checklist to make sure you meet all your requirements before you apply for an EP with the Ministry of Manpower. From advertising the position in Jobs Bank to having your salary range published, we let you know what you need to know. Not everyone needs to follow the prescribed 14 day rule - see if your company is exempted. Understand what the process is before you apply for a candidate's Employment Pass or other work permit. Get your dream team together with help from our visa and immigration experts.